Scroll through the gallery using the directional arrows. 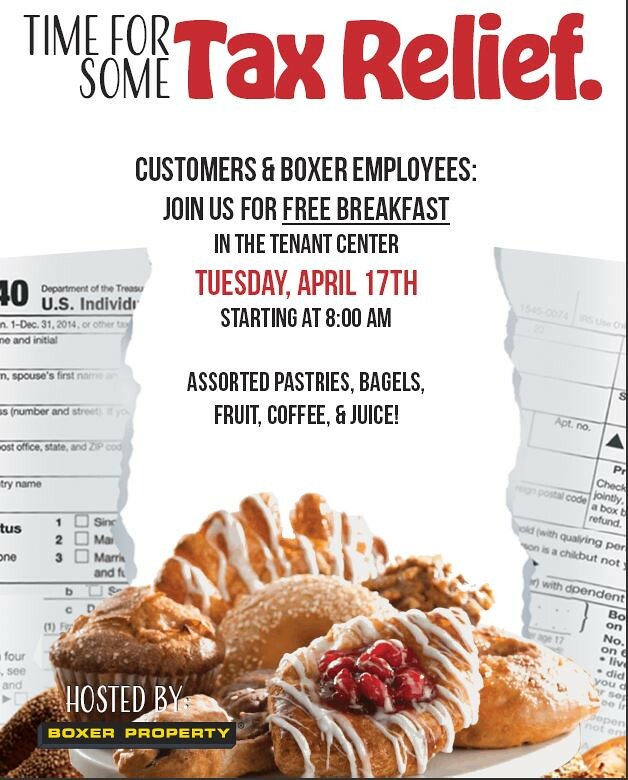 Tax season is sometimes stressful and Boxer wanted celebrate Tax Day by giving customers at 720 N. Post Oak, in Houston, a nice Tax Break by offering breakfast catered by Panera Bread. 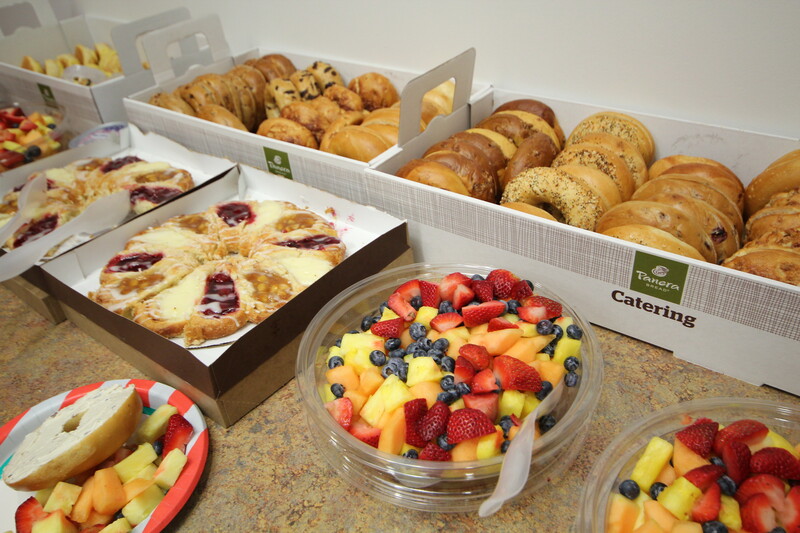 Customers were happy to walk into the office building and be greeted with bagels, pastries, fruit, coffee and juice to help them get this Tax Day off on the right foot! 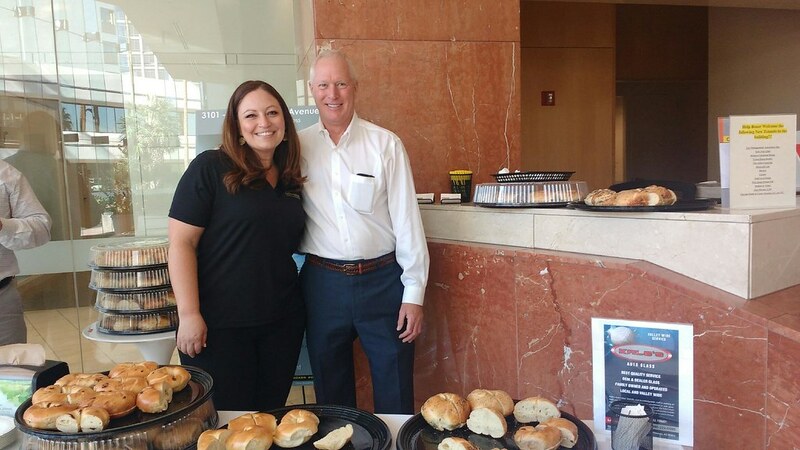 Breakfast at 340 N. Sam Houston Parkway E – The team at 340 & 350 in Houston served Hot Shipley’s Donuts, over 10 Dozen donuts were quickly devoured. We love our Shipleys! This event also made it possible for customers to meet the new staff coming on board, including (left to right) Wesley King, Audrey Russell and veteran PM, Sarah Gadson. 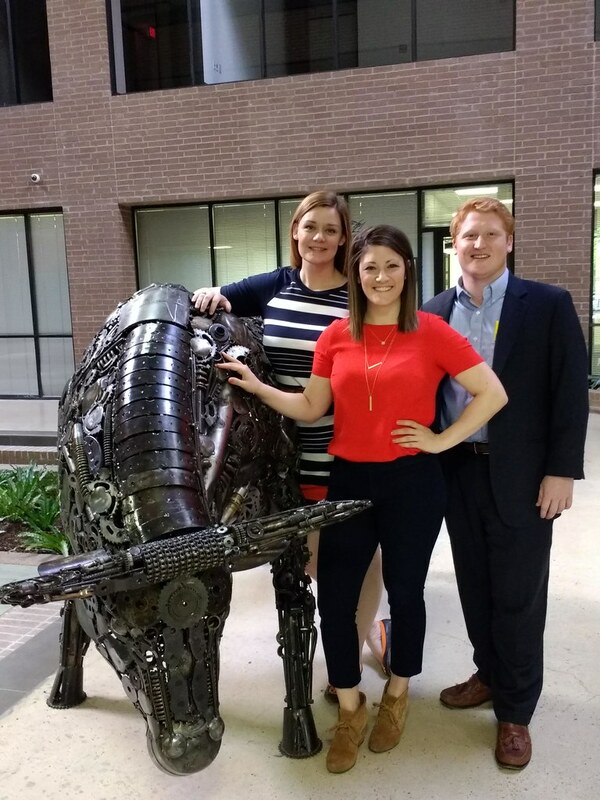 We love finding ways to interact and get to know our customers in positive ways. It makes our customers feel comfortable around us and enjoy the community that we strive to build among the businesses within each property. Through these types of events our customers quickly get to know each other and build synergies which is so exciting. Seeing them realize there are opportunities to work together or provide services to each other is really empowering and something we look forward to continue facilitating.